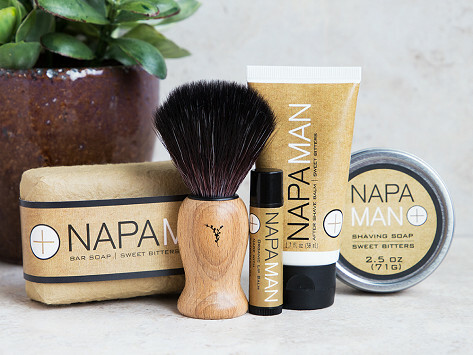 The NapaMan Gift Set is handmade in Napa Valley and contains everything needed for a great, subtle shave. Presented in a giftable kraft box, the travel sizes make it easy to smell and look great on the go. Individual product sizes: Shave Balm: 2.2 oz. ; Shave Soap: 2.5 oz. ; Bar Soap: 6 oz. Dimensions: 12.75" x 6.88" x 1.88"
I ordered one set for my father and another for my uncle as Father's Day gifts. They both loved every item in the set! 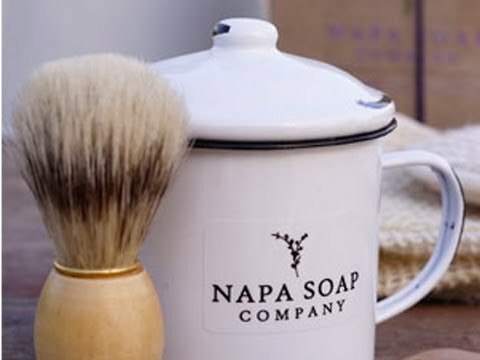 Napa Valley’s better-known export is wine, but after shaving with these, you’ll fall in love with the region’s less famous but equally delectable product.